While American church culture (and American culture at large) seems largely designed for the extroverted, it's estimated that half of the American population is introverted, and they're often left wondering how, even if, they fit in the kingdom of God. 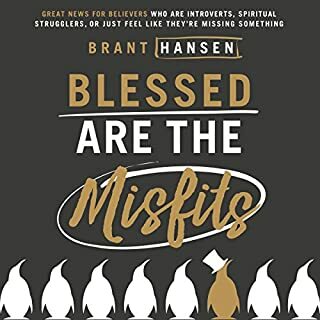 As one of them, popular radio host Brant Hansen brings news. It's wonderful, refreshing, and never-been-said-this-way-before good news. Brant Hansen made me laugh and cry in the first minutes and throughout. I treasure his openness, honesty and vulnerability. I recommend this book to anyone with a heart. Whether the issue of the day on Twitter, Facebook, or cable news is our sexuality, political divides, or the perceived conflict between faith and science, today's media pushes each one of us into a frustrating clash between two opposing sides. Polarizing, us-against-them discussions divide us and distract us from thinking clearly and communicating lovingly with others. 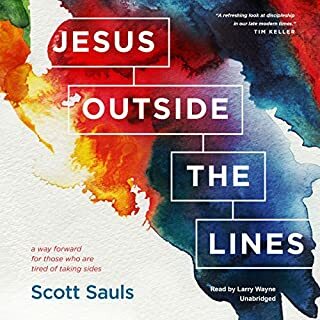 Scott Sauls, like many of us, is weary of the bickering and is seeking a way of truth and beauty through the conflicts. Scott's somewhat unconventional approach inspired me to think differently, more creatively, and more freely about my behavior as a Christian. I particularly appreciate the reminder to be open to learning something of value even from those I generally disagree with. 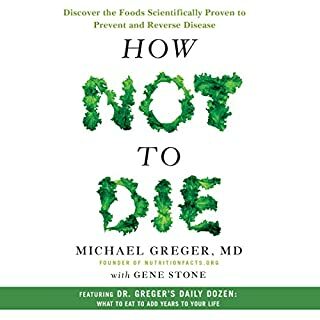 Dr Gregor provided more evidence-based, specific nutrition guidelines than the last 5 books I've read on nutrition combined. After eating a plant-based diet for the last 2.5 months, I have more energy and my long-term knee, hip, and shoulder pain is 95% gone. 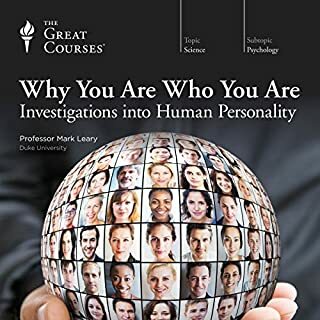 I would recommend this book to everyone, and I am going to listen to the whole book again. 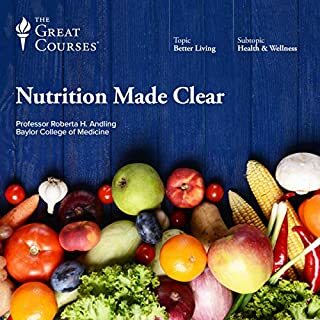 Sorry to sound like a fake online review, but I've been fascinated by the data and detailed analysis in the book and thrilled with the effects it has had on my health. I had expected the benefits to be less obvious. Read Me ... The missing PDF guidebook is there! Glad I listened to Nutrition Made Clear. Already knew about half of the information, but appreciated learning the other 50%. Roberta has a pleasant speaking voice - easy to listen to. Grace Klaren has finally made her dream of living in the Big Apple and working in the fashion industry a reality. 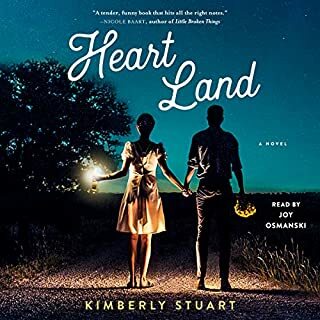 But when she’s unexpectedly fired and can’t afford the next month’s rent, Grace does something she never thought she’d do: she moves back home. Back in Silver Creek, Iowa, Grace is determined to hate it. She’s saving her pennies and plotting her return to New York when she almost runs over a man who’s not paying attention at a crosswalk. It turns out to be Tucker, her high school sweetheart whose heart she broke when she left 10 years ago. Lovely, sweet story. Some ups, some downs, some challenges overcome. Satisfying ending. I will look for more by this author. 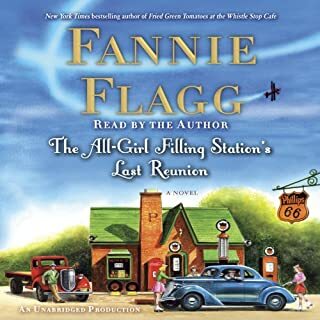 Loved most of the book. It held my attention, it was heartwarming, I learned interesting facts about WWII and the women who bravely served as WASPS. If it weren't for the unnecessary and slightly annoying "politically correct" statement at the end, I would have given it 5 stars. Also, as an adoptive parent, I suggest referring to an adoptee's biological mother as her "birthmother" or "biological" mother, not "real" mother. Adoptive parents are very much real. 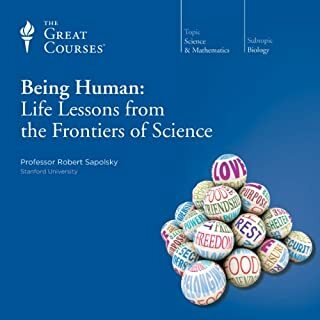 I will read everything Professor Sapolsky writes! So sad to have it end. Interesting, funny, thought provoking, surprising, helpful in dealing with life. 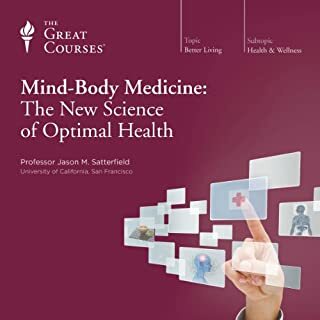 Jason Satterfield presented interesting, useful information about the mind-body connection in an entertaining way. I was sad to finish the course. Course broadly covers many areas of physics. It was interesting and informative - simple in some areas and challenging for the novice in others. 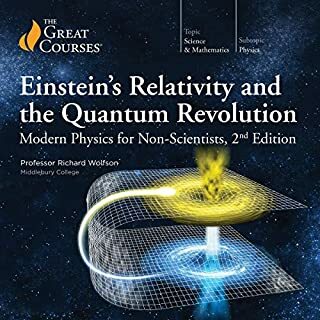 I leave this course with more interest in and understanding of how the universe works.